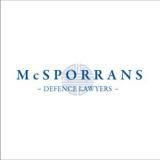 McSporrans criminal solicitors' latest news on all aspects of criminal & road traffic law. The Crown Office & Procurator Fiscal Service (COPFS) has recently published a report entitled Hate Crime in Scotland 2015-16. The report brings together figures on race crime, and on crime motivated by prejudice related to religion, disability, sexual orientation and transgender identity. It also includes figures for charges under the Offensive Behaviour at Football and Threatening Communications (Scotland) Act 2012. Racial crime remains the most commonly reported hate crime. There were 3,712 charges reported in 2015-16, 3% lower than in 2014-15, and the lowest number reported since 2003-04. Sexual orientation aggravated crime is the second most common type of hate crime. There were 1,020 charges reported in 2015-16, an increase of 20%. With the exception of 2014-15, there have been year on year increases in charges reported since the legislation introducing this aggravation came into force in 2010. The number of religiously aggravated charges reported, at 581, is 3% higher than in 2014-15. Including charges that are now reported under the Offensive Behaviour at Football legislation, all religious related charges are also 3% higher than in 2014-15. There were 201 charges reported in 2015-16 with an aggravation of prejudice relating to disability, 14% more than in 2014-15. There were 287 charges reported in 2015-16 under Section 1 of the Offensive Behaviour at Football and Threatening Communications (Scotland) Act 2012, 49% higher than in 2014-15. This is the highest annual number of charges reported since this legislation came into force. 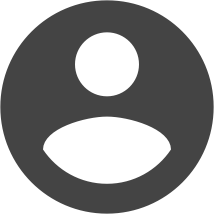 For professional legal advice on the issues discussed here, or on any other criminal law matter, contact our expert criminal defence lawyers today.